If you’re considering grated decking for your float project, Transpac can present you with different options based on your specific needs. 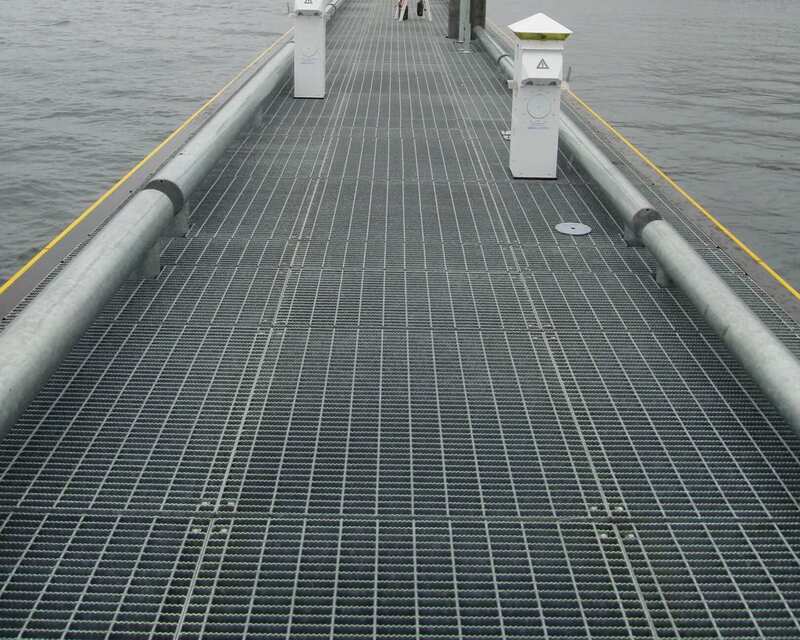 Many of our projects have utilized galvanized steel-bar decking, molded and pultruded fiberglass (FRP) decking. Transpac float systems often combine pipe-pontoon displacement units with grated decking, utilizing the cylindrical shape to shed rain and snow and eliminate debris from collecting beneath the decking. This ultimately helps keep the walking surface free of ice and snow buildup, creating a safe and slip-resistant surface.